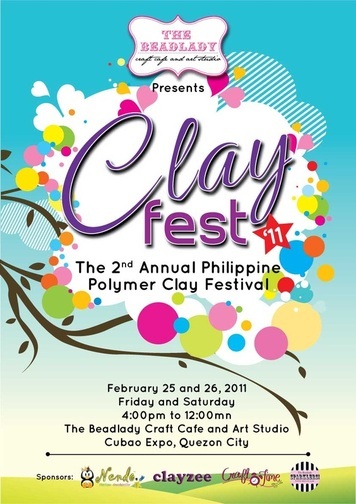 I am hosting the 2nd Annual Philippine Polymer Clay Festival (Clay Fest 2011) on February 25 and 26 at The Beadlady Craft Cafe and Art Studio. It's happening this Friday and Saturday people, so I hope you drop by! Entrance is free! 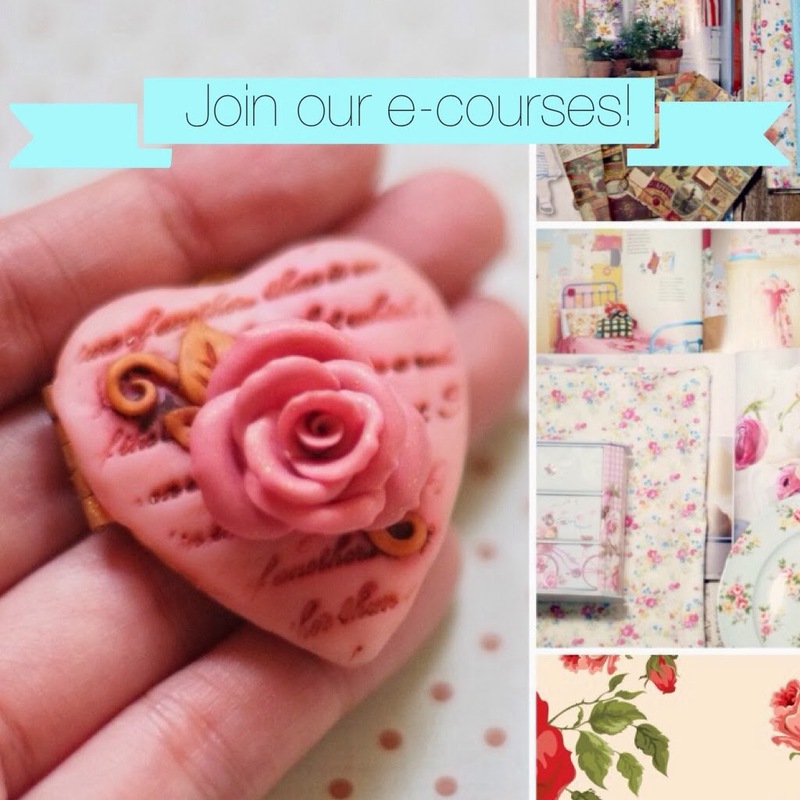 There will be free demos and games, and chances to win exciting gifts from our exhibitors and sponsors. 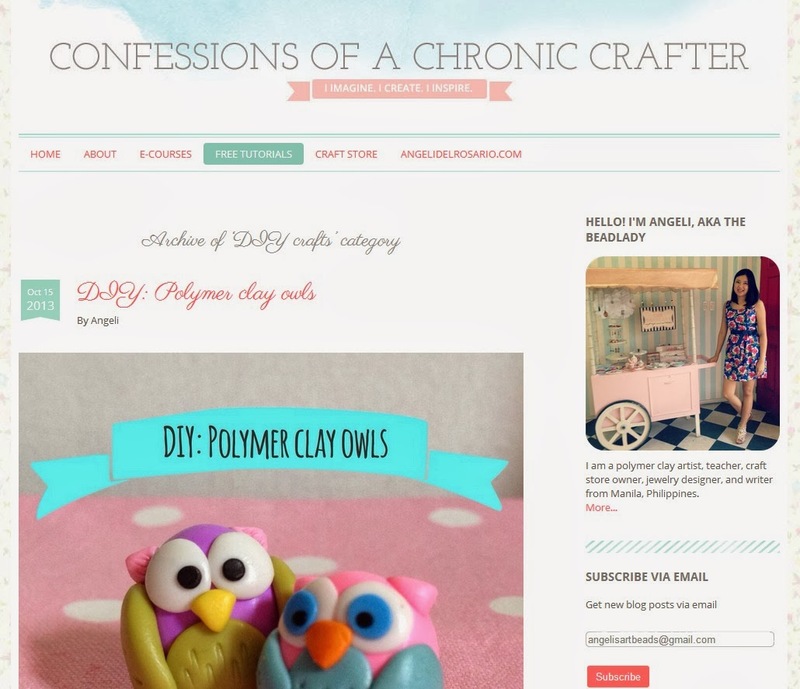 The Clay Fest is more special this year because we have more sponsors: local Pinoy polymer clay brands Clayzee and Nendo, local craft magazine Craft Time, and of course, my own brand of mica powders, The Beadlady Sparklers.We also received some love from fellow crafter andeverythingnice! My favorite polymer clay guru Christi Friesen even generously sent us her lovely artwork to be given away as a grand prize for the contest at the Clay Fest! More on that in my next post. We'll have CF's new book Woodland Creatures, and favorite tools on display. So this weekend, there's nowhere else to be but at the Clay Fest! Come with your friends, and bring shopping money! The fun starts at 4pm. RSVP here. Clay Fest 2011, here we come! My shop window in a movie! My shop window was part of a Pinoy movie that was released in November 2010. This is terribly, terribly late, I know. But still worth sharing! When I say "part" of a movie, I mean it was seen in the background for 20 seconds. Teehee. You're bound to miss it if you don't know what to look for. But since this doesn't happen to someone like me everyday, allow me to excitedly gush. The movie starred John Lloyd Cruz and Toni Gonzaga. I wasn't there when they shot the scene, because that was the month I got the terrible flu which had me rolling in bed for two weeks. So no, I didn't get to meet them. I didn't even know what the title of the movie was. A few weeks later, I got a text from my cousin, saying she saw my shop in the trailer of My Amnesia Girl. So that's what it was called! I cringed when I saw the trailer, because it reminded me a lot about Adam Sandler's 50 First Dates. I am glad to say that I was wrong to judge so quickly! Normally, I don't watch movies like these, but what the heck, I needed to see my shop window on the big screen! I wanted to drag Marco to see it with me, but he begged me not to make him go through that kind of torture. So I went with a friend, and was delightfully surprised. The movie was corny (on purpose I think), but really funny too. The story isn't anything like 50 First Dates, I assure you. Spoiler alert! I loved the scene in front of my store! John Lloyd's character bought Toni's character new shoes from a store in Cubao Expo. When they were about to go home, it suddenly rained. Toni didn't want her new shoes to get wet, so she took them off, and ran barefoot into the rain. Cute. You can see the shop for two seconds (at 0:38) in this trailer. In the actual movie, the scene's about 13 minutes in, and lasts for all of 20 seconds. Haha. And I saw my name in the credits! Now that I bought the original VCD, there is no escape for Marco. Bwahaha.